Informative Samadhi activates second mental sphere. Visualize the second mental sphere (sub- or unconscious) in the brain and centered in the optic nerve, encompassing the pineal gland and corpus callosum. This mental sphere governs the right front hemisphere. This sphere contains every perception and life experience that was not consciously registered or that is filtered out of your day-to-day conscious mind (third mental sphere). What people think of as their personality is primarily based on their own evaluation of their reactions to a set of circumstances. Everyone experiences a different set and order of life circumstances and is given an equal opportunity of responding consciously or unconsciously and/or positively or negatively. This sphere corresponds to the third time dimension: Cosmic synchronization. Cosmic synchronization refers to mastery of the synchronic order: Self-creation through time. Here, we impress the codes of the synchronic order, embedding them into our subconscious. This mental sphere is activated by cultivating states of peripheral awareness, both through meditation and by contemplation of the Law of Time: Time as the evolution of consciousness. If our day to day experience remains unconscious of the Law of Time, then when an experience occurs in our time space, we will not be aware of the opportunity for heightened consciousness that is being presented to us. However, if we are conscious of the Law of Time, then our experiences become triggers that enter us into higher consciousness. Hyper neutronic subliminal consciousness activates sixth mental sphere. Visualize the sixth mental sphere (subliminal conscious) located in the brain above the right ear in the right cerebral hemisphere. This sphere governs and controls the left lateral hemisphere. (Note how 5th and 6th mental spheres govern parts of the brain opposite their locus, exhibiting together a type of crossover polarity). Subliminal means you are operating independent of past and future; this is how people can contact different entities on different planes of existence. Since subliminal consciousness is independent of past and future, you can tune into it at the conscious level, suspending all conditioned thought-programs. This mental sphere functions with the third-dimensional “self,” storing impressions which are then transmuted into subliminal patterns of communication. The sixth mental sphere allows us access to the parapsychic, supramental realm. This is the seat of the telepathic scanning system and interdimensional programs. To experience this, relax and focus your breath awareness on the psychic passages between the root, solar plexus and throat centers. Feel the upward circulation of energy and visualize yourself as a cosmic antenna for higher intelligence. Open yourself to become a telepathic receptor of higher mind capable of transmitting and receiving subliminal messages. This intention, maintained through undistracted, non-conceptual meditative awareness, activates higher mind telepathic receptivity. This can also be realized and cultivated through dreamtime. Note that this mental sphere contains subliminal suggestive impulses that affect third-dimensional functions as “intuitive flashes” (but which may actually be telepathic transmissions from remote points of super mental cosmic civilization trying to establish “contact”). These contacts leave impressions in the sixth mental sphere, which may be transmitted or transduced in any number of ways, which include ear-ringing, subliminal or hypnogogic imagery, déjà vu’s, etc. Hyperelectronic superconscious activates fifth mental sphere. Visualize the fifth mental sphere (superconscious) situated in the brain above the left ear in the left cerebral hemisphere. This is the seat of the fifth-dimensional higher self and functions with the fourth-dimensional “Other”. This mental sphere governs and activates the right lateral hemispheres midway between right ear and right temple where it sends paranormal impulses to the first mental sphere: preconscious. Superconsciousness lies behind the veil of waking consciousness. It is sometimes referred to as cosmic consciousness or Christ consciousness; the self-existing consciousness bliss that transcends creation. The quality of our thoughts and attention is key to harnessing these superconscious powers. Our thoughts are electronic lines of force that release into the atmosphere and create specific effects according to the strength of the thought. To embody a superconscious state of mind requires persistent and attentive concentration and devotion to meditation practice. This sphere corresponds to the fifth time dimension, the radial time of the superconscious fifth dimensional Higher Self. It is characterized by an electrical hyper-clarity that is definitely not “of this world.” This sphere is increasingly activated with the advent of the noosphere, and is characterized by total holistic perception. Incorporating the continuing conscious of the fourth mental sphere, the superconscious expands into the mentation waves of the fifth-dimensional higher self. A “mentation” wave is a configuration of telepathic potentialities, independent of language, and based on whole orders of super mental precepts intrinsic to non-egoic knowing. To cultivate a superconscious mind, meditate the whole Earth as a single organism held together by a universal thought-field. Visualize yourself right where you are. Notice the space that you are in, whether it be inside or outside. Now lift out of the environment you find yourself in and look down on it from above. Lift out further and see the entire street or area that you are in. Now expand out and lift higher and higher into space. From space, view the Earth as a single luminous blue mandala. See the Earth from all angles. See it as a planetary orb, a wheel spinning in space with an essential value, its dharma or truth. The dharma or capacity of Earth is its capacity to sustain life. Visualize the whole of life on Earth, from the animals, to the plants, to the humans down onto the insects and plankton. See it all as one whole system. 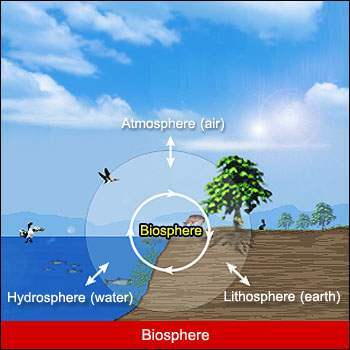 The whole of the life on the Earth is the biosphere, or the sphere of life that covers the surface of the Earth like a film or vibrant mantle that is ever in motion. 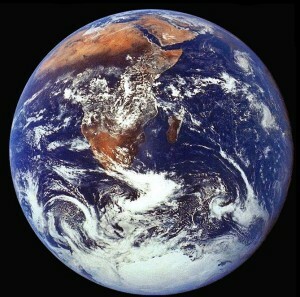 Really visualize how all of the different life forms and processes are one unity on this shining blue orb. Now let your mind penetrate beneath the surface of the Earth. Feel the spherical layers of sediment and crystalline rock. 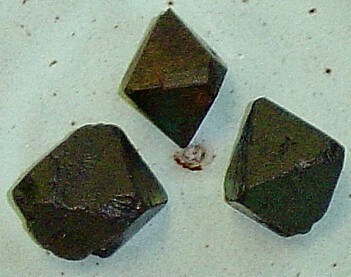 Go to the core and find the massive iron crystal octahedron. Feel this crystal core as a dynamic radio receiver elongated in the direction of each of its magnetic poles. Place yourself in meditation at the very center of that crystal radio receiver. Who is the Earth receiving? What is the Earth broadcasting? Where is the Earth receiving? What messages is Earth giving you right now? Note: Application of advanced pure meditation techniques are necessary to unify with universal cosmic space. Telepathic super normative thought forms are always coming from the fifth mental sphere, the superconscious. Higher mind control activates fourth mental sphere. Visualize the fourth mental sphere (continuing conscious) located in the brain above the left eye in the left cerebral hemisphere. This mental sphere controls and governs the rear left hemisphere. Continuing consciousness is the ability to maintain a conscious thought form in succession over a long, unbroken period of time. In terms of Cosmic Science, continuing consciousness is the ability of the 4-D “Other” to maintain direct communication with the 5-D “Higher Self” and to continue to establish and extend realization of the whole to the 3-D “self”. This sphere corresponds to the second time dimension: Cosmic ascension. Cosmic ascension refers to the mastery of higher powers of telepathic perception and projection. This means we can perceive ourselves anywhere in the universe and project to those places as necessary. To cultivate continuing consciousness choose a thought, mental structure or series of numbers to focus on. You might also practice maintaining projective geometries, like an icosahedron or dodecahedron. Concentrate and fill your mind entirely with this inner perception or mental construct—keep it filled with this thought. The moment that any other thought tries to enter the mind displace it immediately with the thought-construct upon which you are concentrating. Continue until you acquire the skill of being able to concentrate on anything for as long as you wish, or until it appears before you in hallucinatory clarity. Persistent training in control of your thought world prepares you for super mental descent of consciousness. Analyze every thought that arises. If a thought is not constructive or harmonious, let it go immediately. Do this as often as necessary until it becomes second nature. When you attain this capacity you will experience higher mind control: you are no longer the doer or the thinker, but the higher self has intervened. Sit still, with spine erect. Keep eyes slightly open looking toward the floor. Feel your intrinsic dignity in this posture. In this position, watch your breath. Breathe normally. As you become aware of your thoughts just label them “thinking”, and as you exhale, dissolve the thoughts. It matters not the nature or content of the thoughts, just dissolve them. At that very moment, just as the thought dissolves, lies the GAP between thoughts. It is this GAP that you want to become familiar with and cultivate. It is the seed of natural mind and the key to your true, authentic self. Practice this each day and note the subtle shifts in your perceptions and attitudes. Visualize the seventh mental sphere (holomind perceiver) located in the central corpus callosum of the higher self and projected onto the corpus callosum of the 3-D and 4-D Self. This is the new perceptual organ allowing us to access the noospheric programs inclusive of the Akashic register. This seventh mental sphere is also the seat of your “true self” or rigpa (wisdom self). All mental spheres are unified by and accessed through the seventh mental sphere. The holomind perceiver is an evolving organ, the noospheric sensing device opening us to an entirely new cosmic reality. As the site and generator of the UR runes, the fourth-dimensional timing matrices and the 441 Synchrotron Matrix, the holomind perceiver contains the fourth dimensional psychocultural programs and the holoneme of the psi bank grid, meaning that it holds the hologram of the total perceived planetary reality. Study of and meditation on the holomind perceiver prepares the mind to open to the galactic dimension and receive an entirely new base of knowledge and perception. 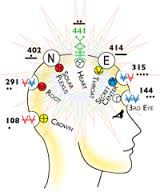 The holomind perceiver is activated through diligent application and study of Cosmic History and the disciplined application of the 441 matrix codes as they are regulated by the synchronic order. Note: Cosmic thoughts are referred to as “mentation” waves, formulated as the correct laws of thought, and are a function of the holomind perceiver. A “mentation” wave is a configuration of telepathic potentialities, independent of language, and based on whole orders of super mental precepts, intrinsic to non-egoic knowing. The mentation waves are a function of the holomind perceiver and operate at the central core, radiating out to the different mental spheres as is needed. This is how the noosphere is established. authentic self. Practice this each day and note the subtle shifts in your perceptions and attitudes. Visualize the first mental sphere (preconscious) in the brain, located in and covering the right rear lobe and cerebellum. This sphere is the resonant chamber of the physical body and governs the right rear lobe of the brain. By means of the preconscious, the evolutive activity of the third- and fourth-dimensional beings are programmed. This sphere corresponds to the first time dimension: Cosmic creation. It is activated by profound Samadhi which penetrates to the deepest layers of the preconscious. This is the sphere where the primal codes of cosmic creation are situated. Cosmic creation refers to mastery of the cosmic forces. This comes about through the self-creation of the energy of space. Here, we are no longer the victim of conditioned reality, thoughts and patterns. We have freed ourselves from the claims of the false self. Here we are creating ourselves and reality anew by embodying the five virtues: Remembrance, discipline, exertion, patience and compassion. To experience and activate this mental sphere exert in natural mind meditation expanding the duration of the GAP—the space between thoughts.